Remote-controlled crane pulling out a fuel rod from reactor 3. Speed is 5x normal. Hard to believe, but it’s been eight years since the catastrophic Tōhoku earthquake struck Japan on March 11, 2011. The resulting 15-meter-high (49-foot) tsunami spilled over the seawall protecting the Fukushima nuclear power plant, flooding the facility’s turbine buildings. Reactors 1, 2, and 3 overheated, resulting in meltdowns and hydrogen-air explosions. Fortuitously, reactors 4 through 6 had been shut down for inspections, but 4 was damaged during the explosions. The operator of the plant, Tokyo Electric Power Company Holdings Inc. (Tepco), has finally started to remove nuclear fuel from one of the three damaged reactors, according to a statement released by the company earlier today. The assemblies are being placed in a steel cask and transferred to a different storage pool at the Fukushima facility. It’s the first time Tepco has removed fuel from inside a unit that experienced a meltdown, so this is an important step in the effort to clean up the plant—an operation that is expected to take decades. 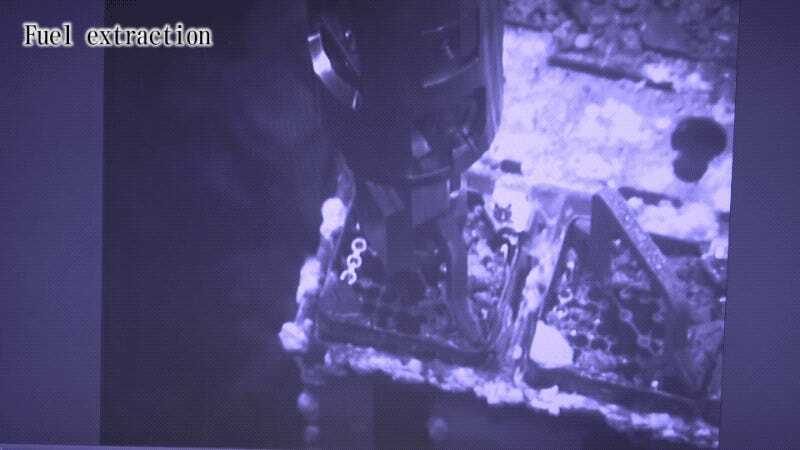 Early today, engineers at Tepco used a remotely operated crane to extract a fuel rod from a storage pool located inside reactor 3. This unit contains 566 fuel rods, the majority of which are spent. The current plan is to remove seven unspent, low-risk fuel rods by June of this year. The operation at reactor 3 is expected to last until the end of March 2021, according to the Tepco statement. There are a total of 1,573 spent and unspent fuel rods stored across the entire facility. Work to remove the fuel from reactors 1 and 2 is scheduled for 2023, per the Japan Times. Prime Minister Shinzo Abe toured the Fukushima complex and nearby areas this past weekend—a visit that comes one week after Olympics minister Yoshitaka Sakurada resigned his post (though he has since been reappointed). Sakurada committed a major gaffe by saying a local politician, Hinako Takahashi, was more important that the recovery of the power plant, as Bloomberg reports. Clearly and quite understandably, the Tōhoku disaster—which left around 20,000 people either dead or missing—remains a sensitive subject in the Japanese psyche.